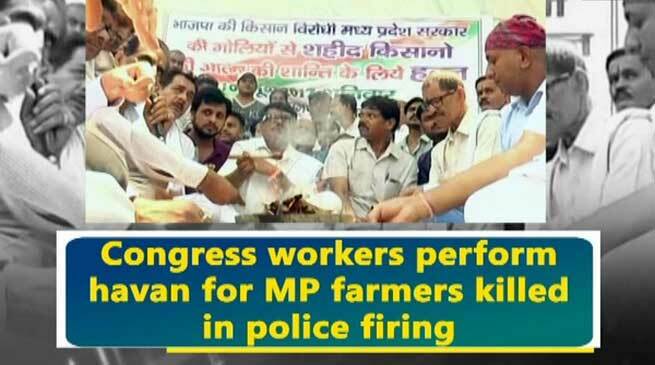 district of Uttar Pradesh performed a havan for the five farmers killed in violent clash with police officials in Madhya Pradesh’s Mandsaur. Giving details, a party worker said this havan is being performed so that their soul rest in peace. Violence broke out during a farmers’ protest in Mandsaur, in which five farmers were killed and several others injured.